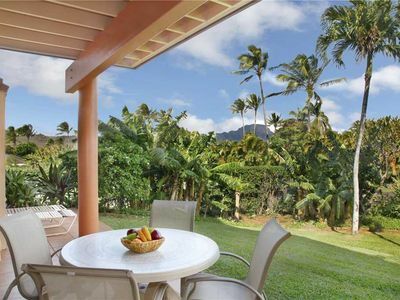 Elevate your Kauai escape with this gorgeous 2-bedroom 2-bath vacation rental condo, which sleeps 8! 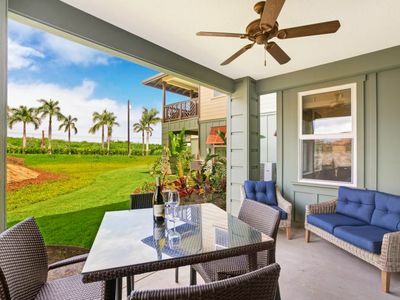 With a bonus sleeping loft and sweeping views all the way up the Poipu coastline to Spouting Horn, you'll have the perfect island home-away-from-home. 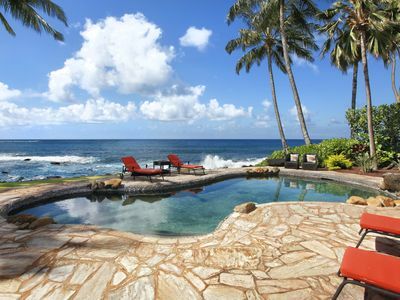 Watch dolphins dance and sea turtles snooze from the private oceanfront lanai, or relax by the community plunge pool while BBQing for the group. 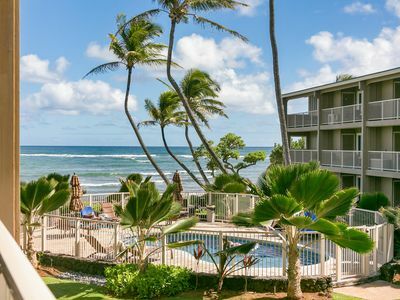 You'll have all the best Poipu attractions at your fingertips during your stay at this lovely condo. 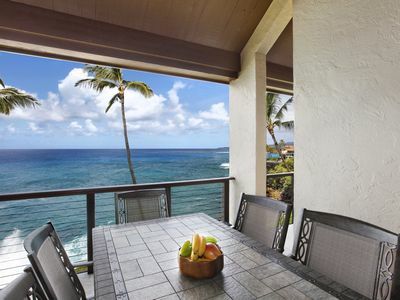 This top-level Poipu Makai condo offers stunning coastline views that you won’t find elsewhere! 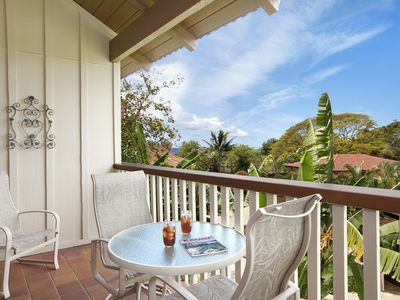 Wake early to enjoy your morning coffee on one of the private lanais, admiring the breathtaking ocean views that stretch all the way up to Spouting Horn. 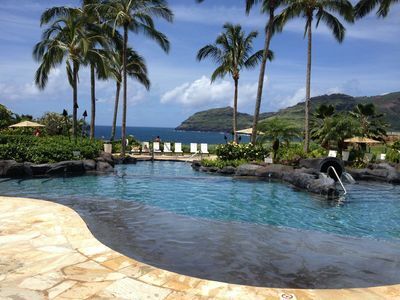 On clear days, look beyond the crashing waves and you can see the Forbidden Island of Nihihau. 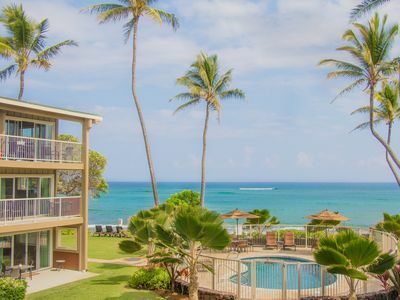 Sea turtles and dolphins put on a show for you, and in season, the humpback whales are thrilling to watch from your lanais off the living room and one of the bedrooms. This sleek condo is beautifully furnished and upgraded with modern touches, sure to add comfort to your stay. 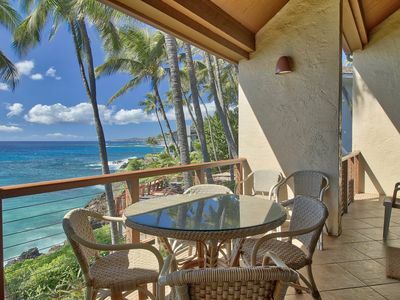 Prepare a tasty beach picnic in the fully equipped kitchen, which has a 4-person breakfast bar. 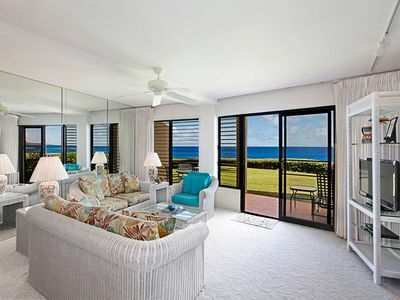 Embark on beach adventures with ease, as this property comes stocked with beach towels, umbrellas, beach chairs and boogie boards for your enjoyment! 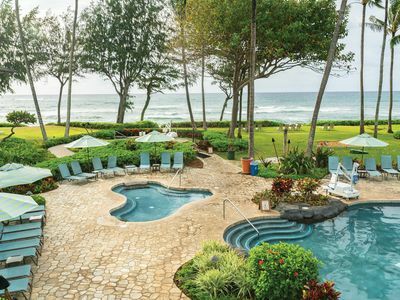 When you need a break from the saltwater, take the kids to the community plunge pool and fire up the Weber grill for an al fresco feast! When night falls, both bedrooms host plush queen beds for your comfort. Upstairs, you’ll find sleeping for 6 in the open loft with 2 twin-over-full bunk beds. 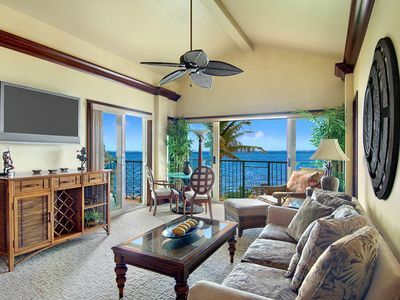 There’s even a great sitting area with separate TV and DVD/book library for entertainment! 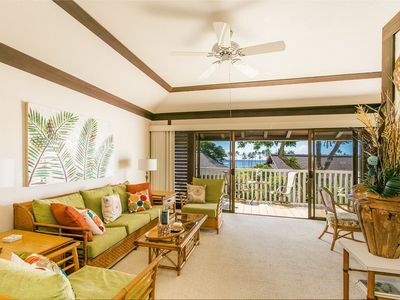 Close to all the things Poipu is famous for - including top rated beaches, golf courses and great restaurants - this prime condo is the perfect getaway. 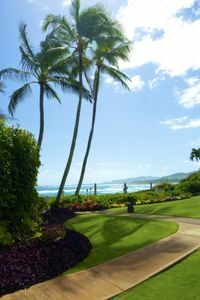 Begin your mornings with a tasty acai bowl from Anake's Juice Bar, and enjoy it along the pristine shores of nearby Poipu Beach. The calm waters and soft sands of this beach make it a family-friendly destination, well known for its fantastic snorkeling! 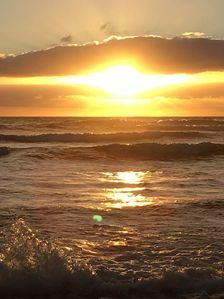 When you need a break from the head, walk just a few steps to Brennecke's Beach Broiler for a refreshing Mai Tai and fresh seafood overlooking the ocean. Various other restaurants are found nearby, along with fun local shops and art galleries. 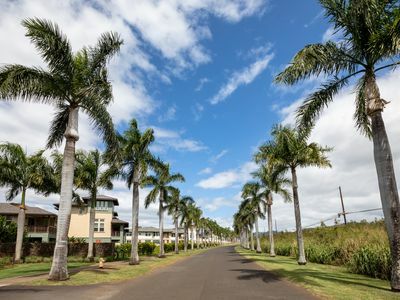 If you’re looking for a thrill, book a 4000-foot zipline flight, superman-style, over the Kipu Ranch - best known as the set for iconic scenes in films such as Jurassic Park and Tropic Thunder. They also offer 4x4 tours and other options to fit your style! 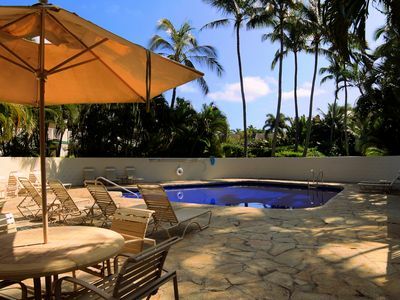 - Unbeatable Poipu location near beaches, restaurants, shopping and more! 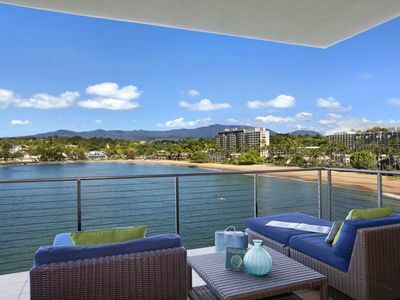 Air Conditioned Oceanfront Updated Condo With Large Lanai And Spectacular Views! 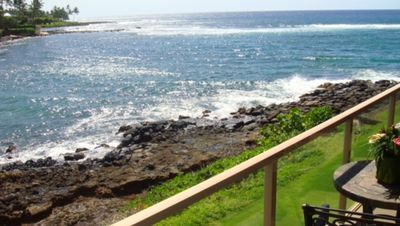 Poipu Makai #C3 - OCEAN FRONT views - Close to Poipu Beach! 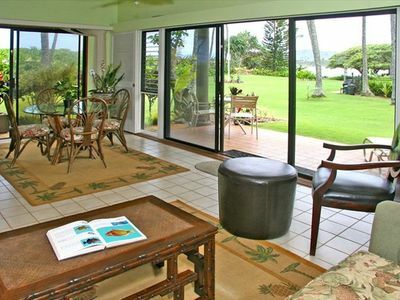 Kauai Kai: Oceanfront Privacy in Poipu with AC and Private Pool! 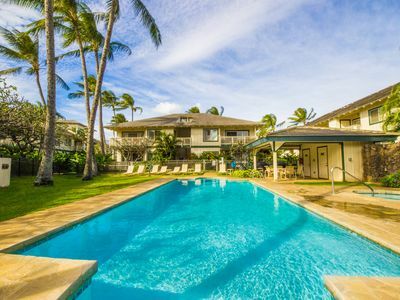 Spacious 5 Bedrooms in Poipu Kai for 14!